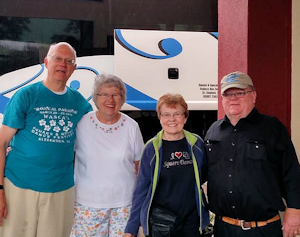 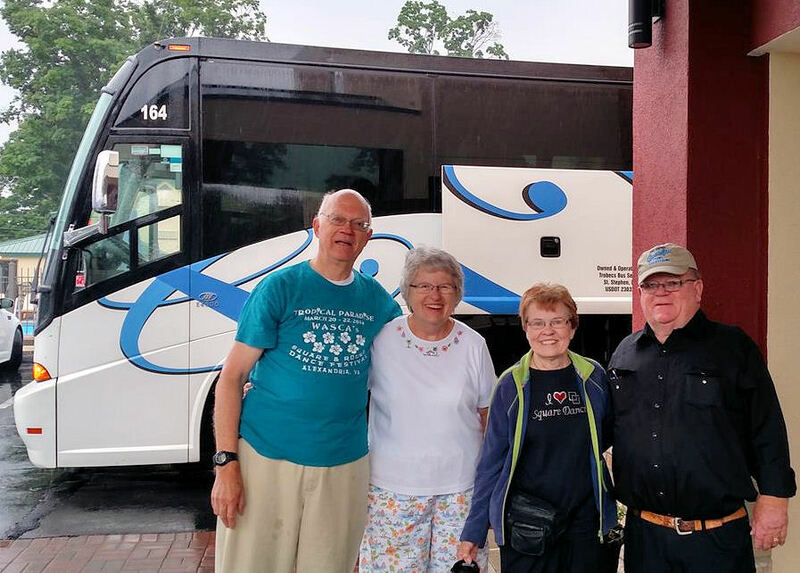 A group of about 40 square dancers traveling from the National Square Dance Convention, which was held in Springfield, Massachusetts, stopped to overnight in Frederick, Maryland on Sunday, June 28. 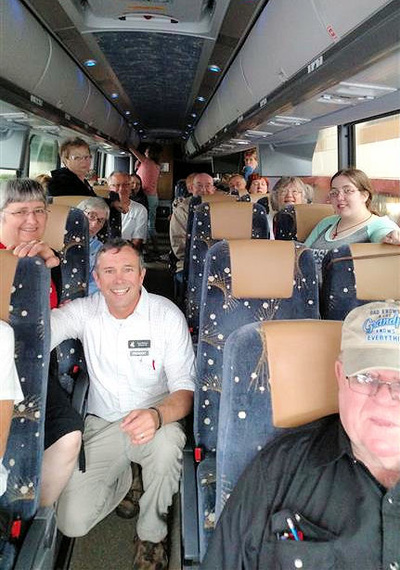 Traveling by private bus, the group was heading home to Minnesota and North Dakota. As a fun objective during their travels to and from the convention, they stopped to square dance in each state that they passed through, following a route that would take them through about 23 states. 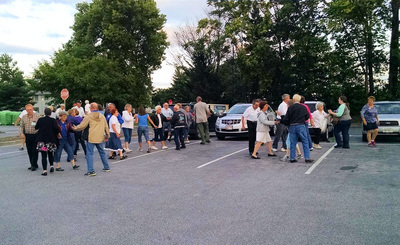 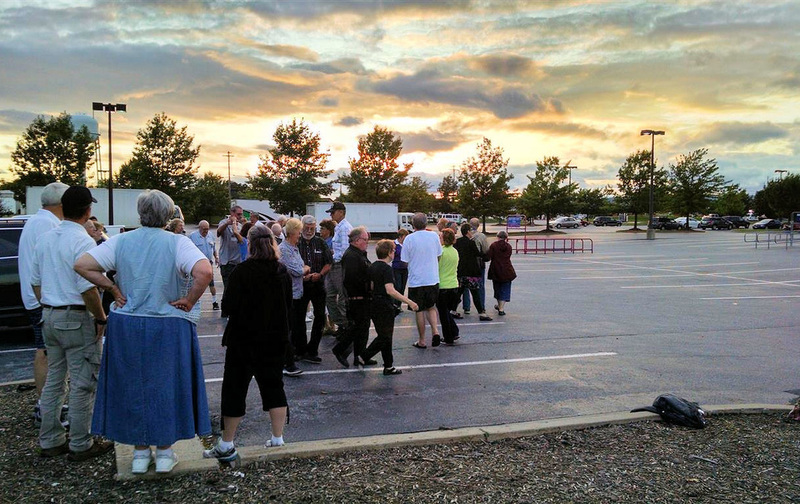 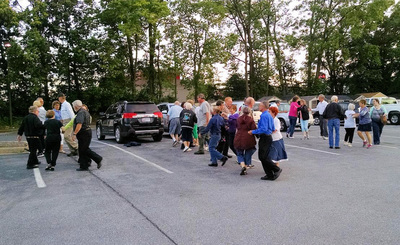 With the help of local square dance clubs and Lowe's on Route 85 in Frederick, an impromptu square dance was held in Lowe's parking lot, next to the Country Inn & Suites, where the group was staying Sunday night. 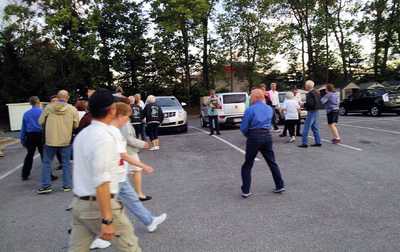 Email helped to get the word out to as many local dancers as possible. 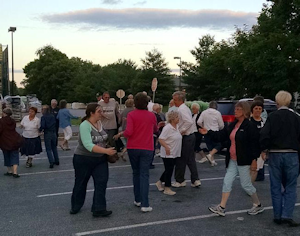 Local clubs present were the Frederick Promenaders, Gad-Abouts (Hagerstown), Four County Squares (Eldersburg), Panhandlers (Martinsburg, WV), and Mountaineer Twirlers (Bolivar, WV). 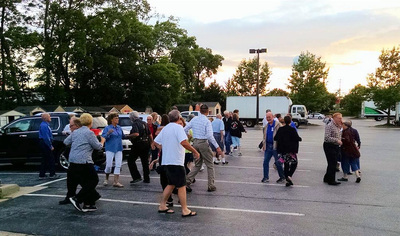 Don Pahl, president of Four County Squares, helped organize the event. 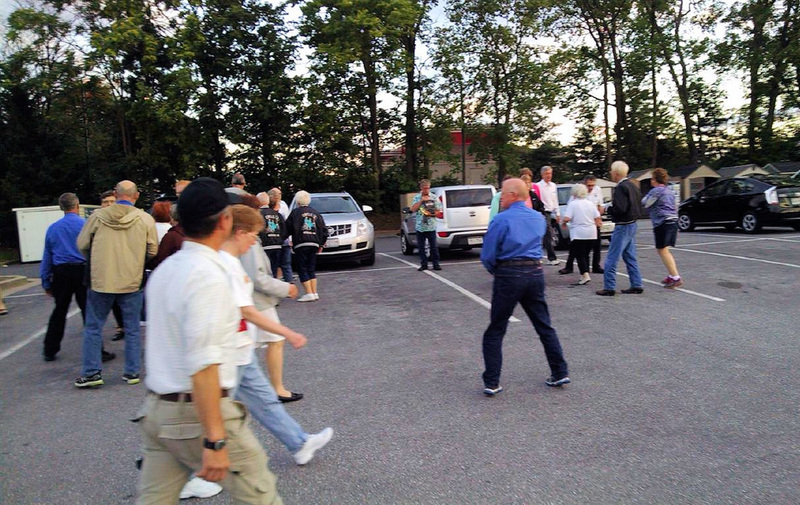 Robert Abdinoor of the Promenaders convinced Lowe's their parking lot could be a temporary dance floor. Roger McNeil was the caller and leader of the bus group. 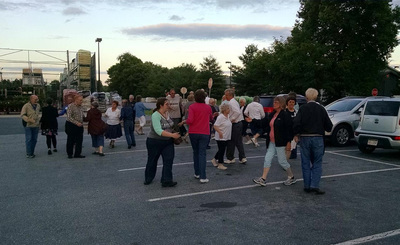 If you are interested in information about square dancing and local clubs, contact Robert Abdinoor at rjasr@comcast.net or karenjrichey@gmail.com.